Mahesh Babu, NTR Jr and Ram Charan are quite often spotted having their vacation and celebrations together, reflecting a think bond among them and film fraternity, which also, in a way has toned down the quarrels among their fans, establishing a healthy atmosphere. 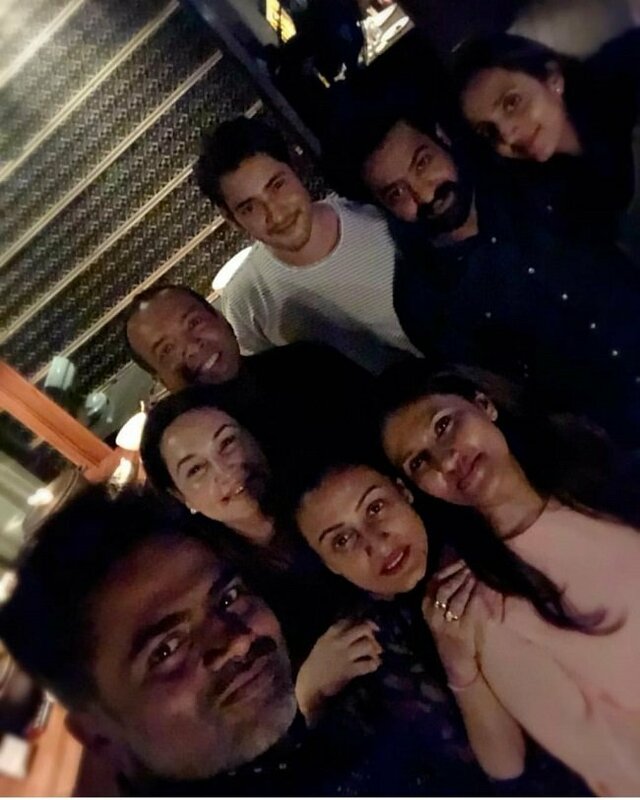 Yesterday, Namrata Shirodkar has shared a few party pictures, where Tarak and Mahesh and director Vamsi Paidpally were spotted. A big party was hosted by Vamsi Paidipally, on the occasion of his wife Malini’s birthday. The top actors spent a great time together during the bash. Mahesh Babu is currently busy shooting for ‘Maharshi’ which is on its last schedule. With 2 songs left, the film completes its talkie part. Recently, ‘#JoinRishi’ teaser was released and received a tremendous response from everywhere. Tarak Jr. is also shooting for ‘#RRR’ which is currently on break because of Ram Charan’s injury. The shoot might resume in a month.